Jeff Garcia is a music educator living in Southeast Michigan. 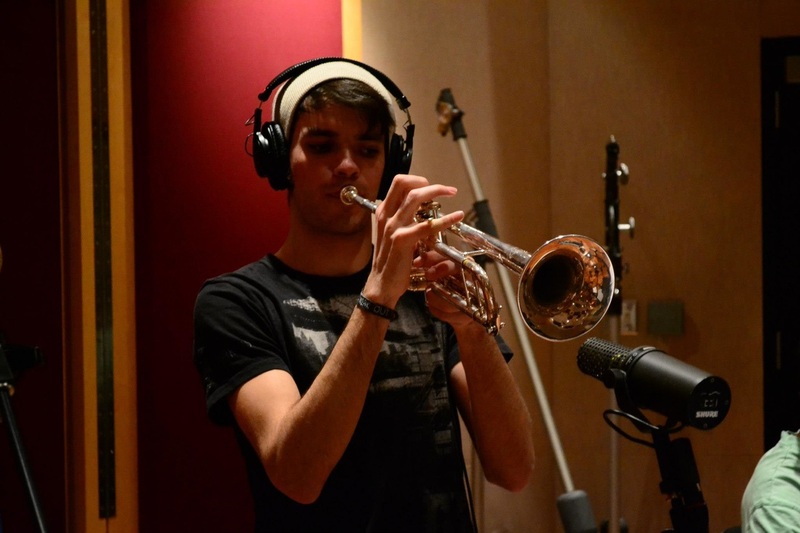 He graduated from the University of Michigan in May of 2015 with a degree in Instrumental Music Education, as well as received his Michigan Provisional Secondary Education Certification with an endorsement in k-12 music. He has studied with trumpet teachers such as Bill Campbell, Professor of Trumpet at the University of Michigan and past principal trumpet in the l"Orchestra Maggio Musicale; Barry Perkins, LA Studio Musician and principal trumpet of the Pacific Symphony; Scott Thornburg, Professor of Trumpet at Western Michigan University; and Jan Roller, third and first assistant trumpet in the San Antonio Symphony. 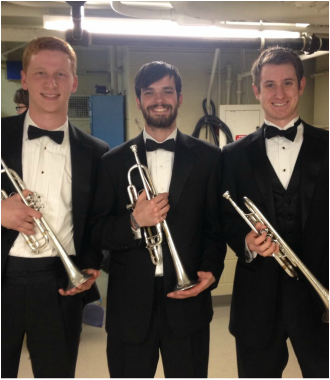 ﻿Between 2014 and 2015, Jeff was the principal trumpet in the University Philharmonia Orchestra at the University of Michigan, and performed pieces such as Mozart's The Magic Flute as well as Mahler's Totenfeier. He has also performed with ensembles such as the Detroit Symphony Orchestra, the Western Michigan University Russell Brown Honors Brass Quintet, the Michigan Marching Band, the BlueLine Brass Band, the Macpodz, and has also recorded on albums with groups/artists such as Asante, Crime Funk, the Tusks Band, and Steven Stavropolous. He has also been featured several times as both a guest conductor and guest soloist of the Plymouth Community Band, directed by Carl Battishill. in 2011, Jeff also spent a summer touring the United States with the Carolina Crown Drum and Bugle Corps, which was awarded the Jim Ott High Brass Award at the Drum Corps International National Championship. Jeff studied music education at the University of Michigan with Dr. Colleen Conway, Dr. Michael Hopkins, Dr. Marie McCarthy, and Dr. Kate Fitzpatrick. During this time, he was able to teach the Saline High School Symphony Band with Nate Lampman, the Scarlett Middle School Bands with Caroline Fitzgerald, and the Clague Middle School Orchestra with Abby Alwin. 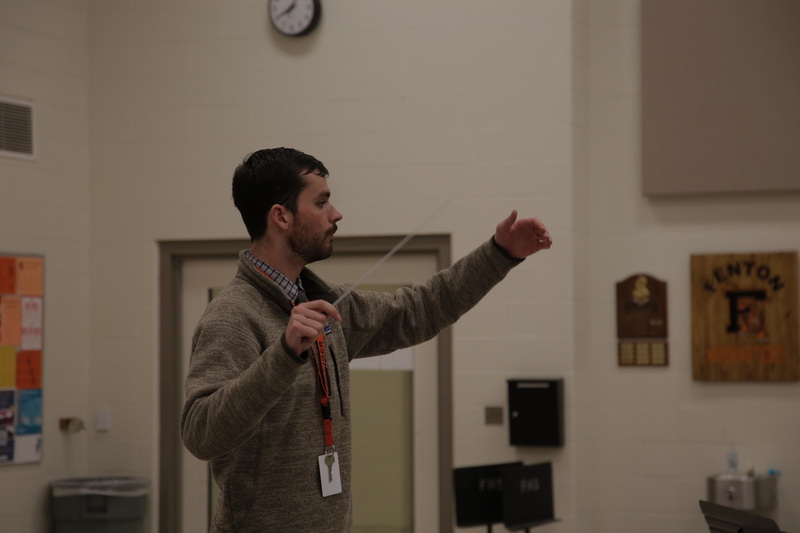 Jeff studied with Andrew Perkins, the director of bands at Fenton High School for his student teaching placement, where he developed lesson plans for both symphonic band, as well as music technology classes.